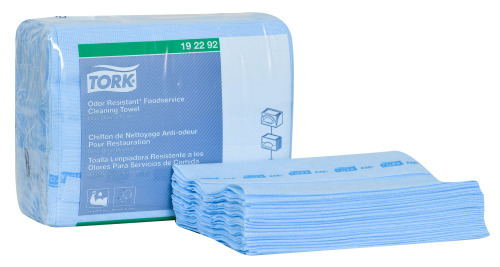 Tork Odor Resistant Foodservice Cleaning Towel is ideal for use with chemical sanitizers. 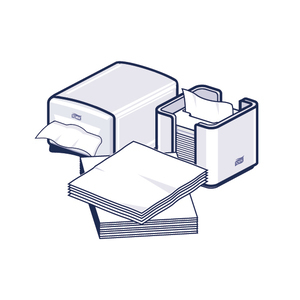 This sturdy cloth is treated with an antimicrobial that inhibits the growth of bacteria in the cloth, which helps the cloth to stay fresh longer. 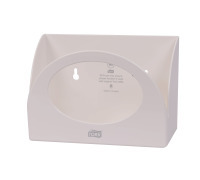 This product features a self-dispensing poly pack that is ideal for facilities where space is at a premium. 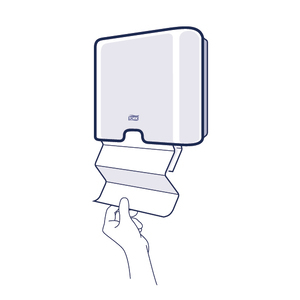 The poly pack can also be dispensed from the (W8) compact format dispenser bracket, which allows you to have wipers where you need them when you need them. The wiper is available in white with a red logo stripe, blue with a blue logo stripe, and red with a red logo stripe. 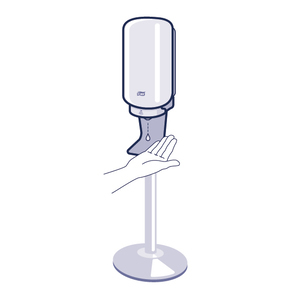 Designating area of use by color will help reduce the risk of cross-contamination.